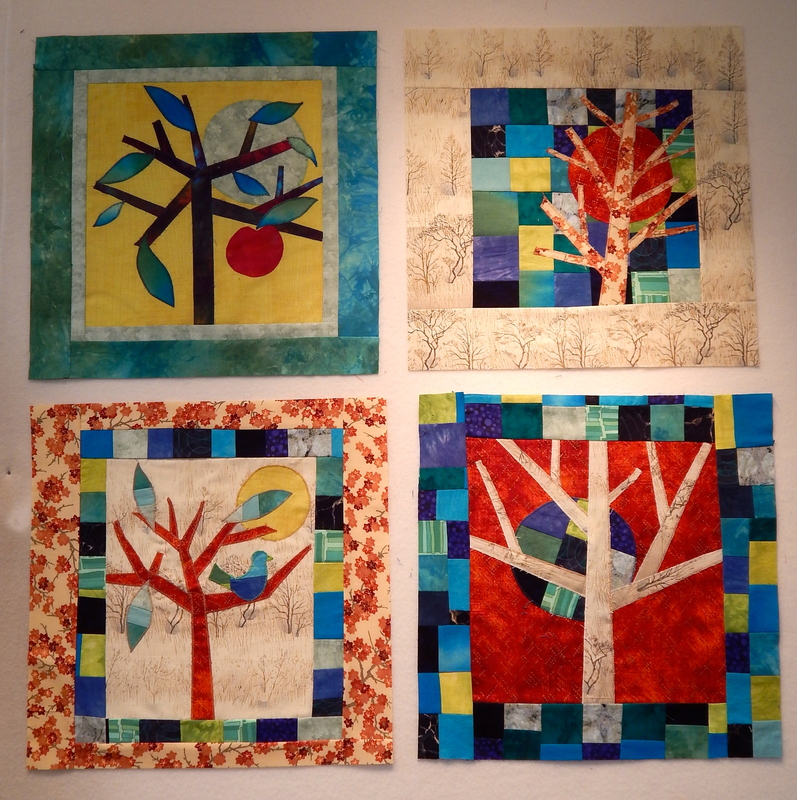 Making trees on quilts is not a new idea. 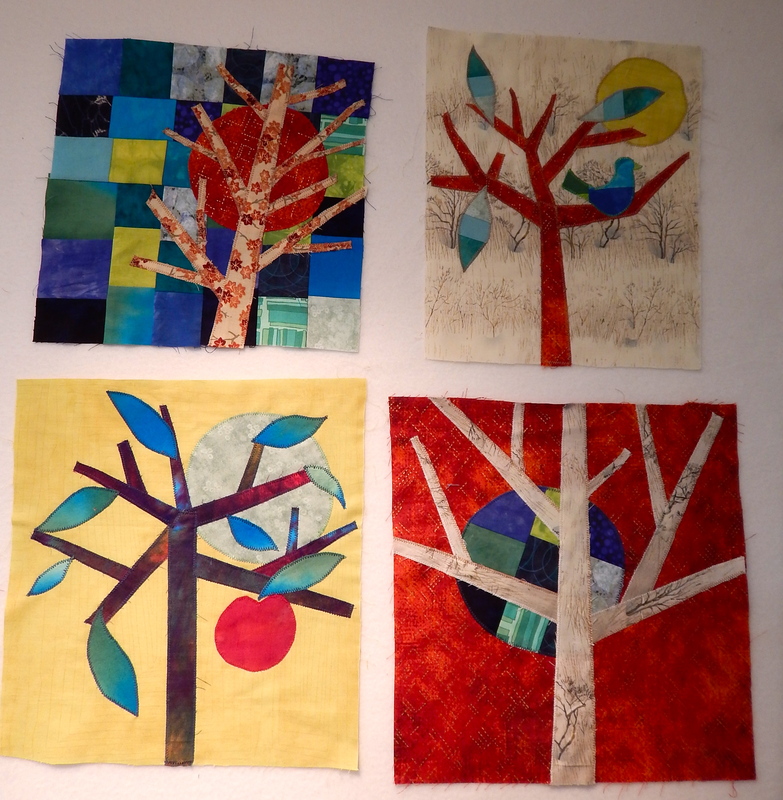 Making these kinds of trees on quilts is not a new idea. 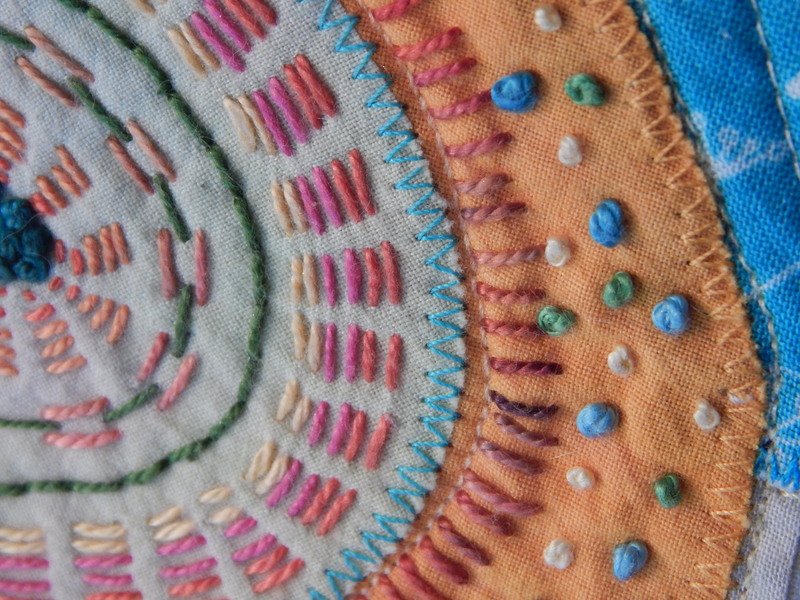 Maybe appliquéing them with the zig zag stitch is a new idea? Probably not. 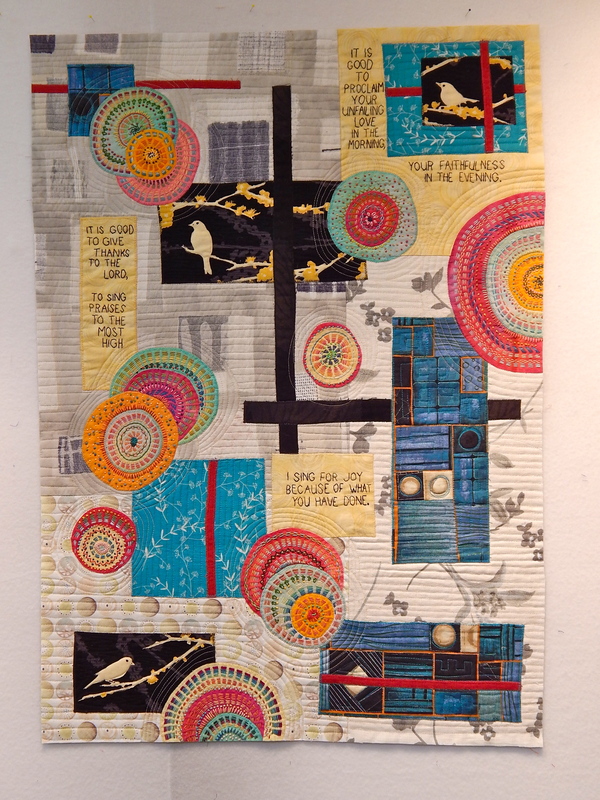 Whatever, I had great great fun creating these little quilts on my Sisters quilting retreat with BF Robin. Brought them home, and of course, none of them were exactly square, or exactly the same size. Because that’s how I work. I like working that way, and there’s nothing wrong with it. 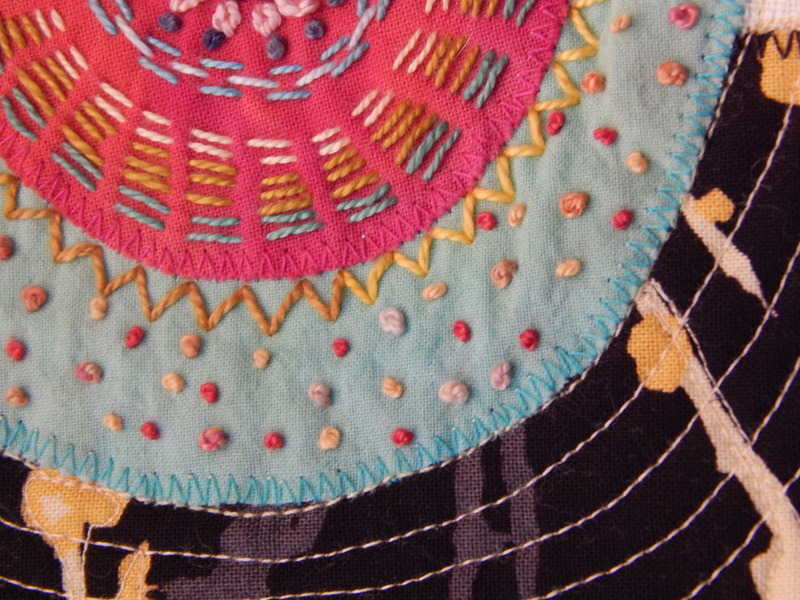 However, USUALLY at some point, you do want to square a quilt up. 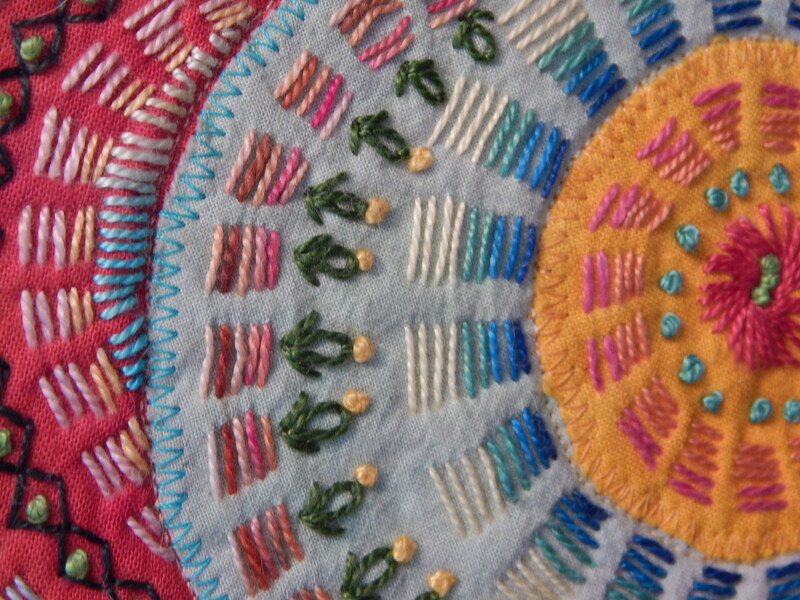 In this case, after measuring all of them, I decided that I would make all of them 17 inches square. I had kept all the leftover scraps from that project in one place. I KNOW, how organized of me! Anyway, I looked at each, and decided on how I would like to frame each one. I do love how they came out. Each is different, but they are all slightly related, as I drew from the same group of fabrics as I worked on them, and then as I framed them.